Fantastic opportunity to own property in the renowned Bretton Woods Resort! Wonderfully charming 3 bedroom, 2 bath Forest Cottage condominium. Your own North Country ‘cottage” surrounded by everything the White Mountains has to offer; golf, skiing, hiking, biking, fishing, swimming, zip lines and the amenities of the Omni Mt Washington Hotel. Striking &apos;floor to ceiling&apos; stone fireplace in the living room makes a statement with warm wood accents throughout to continue the mountain ambiance. Just imagine &apos;apres ski&apos; in front of a blazing fire on a cold winters night. Efficient galley kitchen allows you access to the open concept living and dining area so you don&apos;t miss a beat. Built in seating in the dining area makes for a great use of space. Natural light brightens all of the lower level with ample windows, glass sliding doors and skylights. Guest bedroom features its own private deck. Master bedroom boasts &apos;built-in&apos;s with a wonderfully ample window seat. Two baths; one with jetted tub. Private, upper loft level offers the possibility of a bunk room and / or bedroom and game room combined. 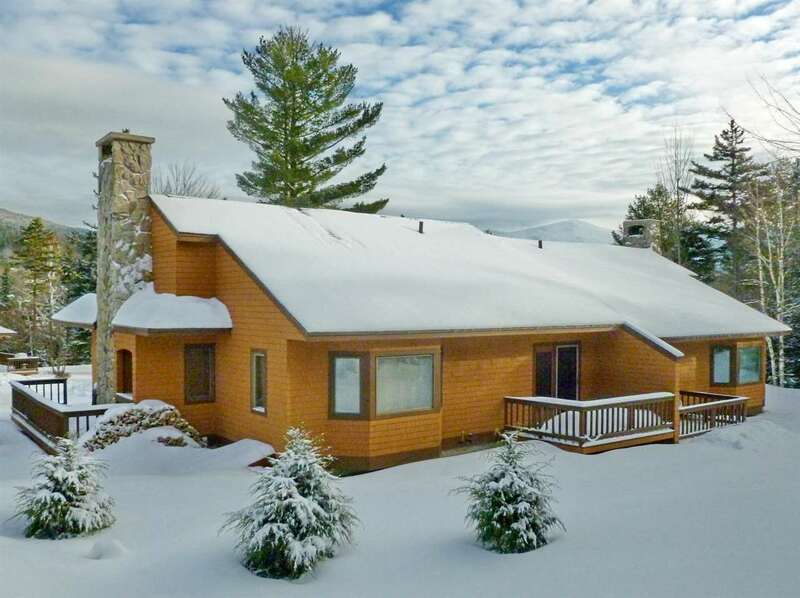 This is the time to treat yourself and family to the good life in the &apos;North Country&apos;.